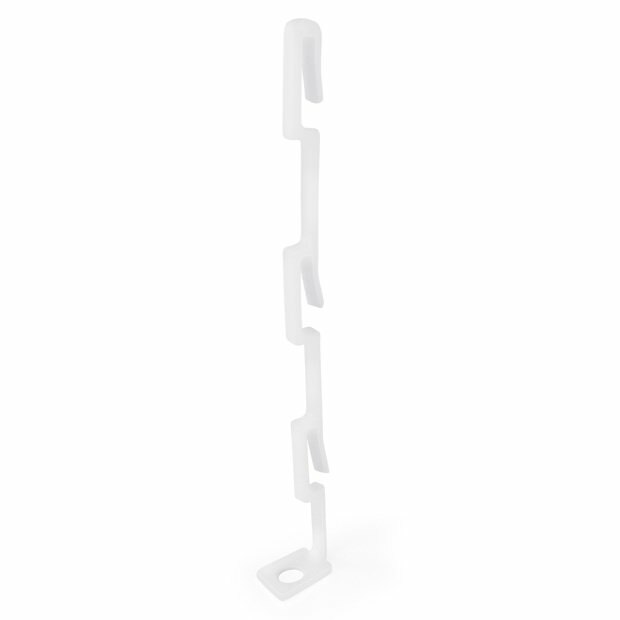 Strong white plastic, ingenious design. Use with any coat hanger - simply place over hanger hook. Size: Length x Width 14.5cm x 2cm (5.7" x 0.8") approx.